A logo system that shines in multiple use cases. 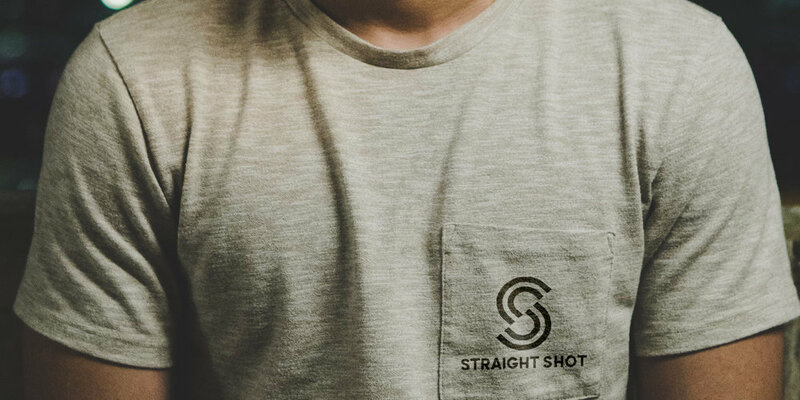 The guys as Straight Shot were open to ideas, but they wanted to logo to include an ‘S’ in one way or another. Because of the alliteration in the name, I honed in on ways to combine multiple S’s into one letterform. For the brand icon, we selected a double ‘S’ that is split down the middle. Initially, I thought this would be easy to construct. Build a little rainbow, mirror, nudge, and call it day. As you can see in Step 3, it didn’t work out so well. When I observed the asymmetry of an actual ‘S’ in Step 4, I realized that a more methodical approach was needed.